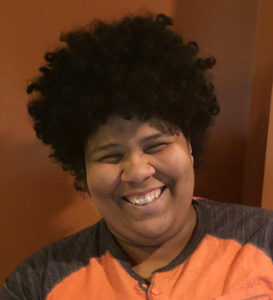 The Reverend Sydney Marie Avent has a passion for social justice ministry that is grounded in her belief in God’s unconditional love for all people. She is ordained by the Christian Church (Disciples of Christ) Northeastern Region and was licensed to preach the Gospel at the Abyssinian Baptist Church in Harlem, New York. 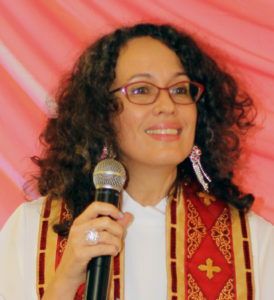 She continually seeks to discern God’s will in her life and understands her call is to fight for systemic changes for justice for all marginalized and oppressed people; to envision, teach, and work for the manifestation of the Beloved Community; and to seek individual and communal healing through spiritual practices and discipline. At The Park, in addition to her ministerial duties, Reverend Sydney is an Elder and a member of the Ministry Council. 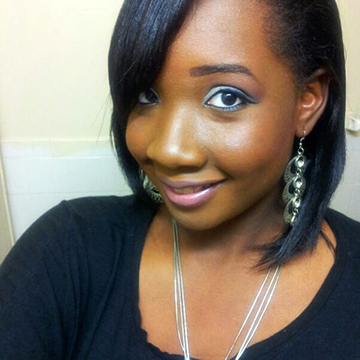 She is a member of Northeastern Region’s Anti-Racism/Reconciliation Team and served as Co-Chair of the MissionFirst! Workshop for the 2016 Northeastern Regional Assembly. From her childhood to the present, Reverend Avent has been active in churches for which social justice and civil rights are core ministries. Her home church is United Institutional Baptist Church in Greensboro, North Carolina. She served as Vice Chair of the Trustees Board at Bright Hope Baptist Church in Philadelphia, Pennsylvania and was a member of Metropolitan Baptist Church in Washington, DC before moving to Manhattan. 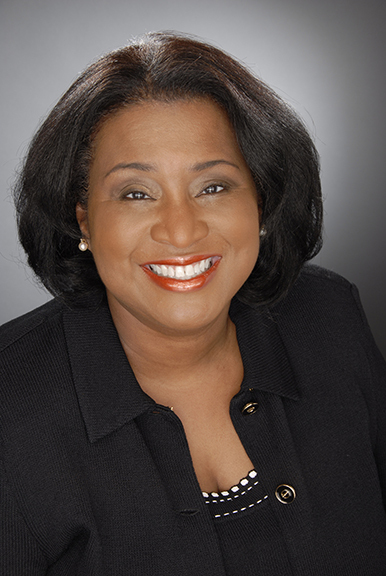 Reverend Avent earned her Masters of Divinity degree at Drew Theological School, her Juris Doctorate at UCLA School of Law and her Bachelor of Arts in psychology from the University of North Carolina at Chapel Hill. She is a licensed attorney and continues her career as in-house counsel for major international corporations and non-profits. Reverend Sydney has a love for the arts and welcomes opportunities to partner with artists and to use the many manifestations of art in the pursuit of understanding, healing, forgiveness, justice, and reconciliation. A resident of New York City, Bryant began singing with his family and in church at the age of two in his hometown of Washington, DC. This humble beginning has given way to an increasingly stellar career in music that continues to grow not just vocally, but in the areas of composition, conducting, pedagogy, and music program management. 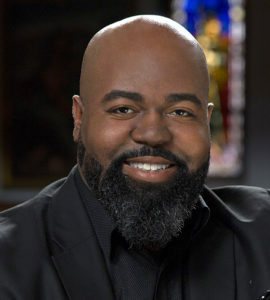 An active and highly sought after vocalist and performer, Bryant serves at Park Avenue Christian Church as Music Leader and First Corinthian Baptist Church, in Harlem, NY (FCBC) as Music Visionary (Minister of Music). Bryant began his time at FCBC after serving for 7 years at The Abyssinian Baptist Church in The City of New York as Worship Leader and Minister of Music for Youth. Though a self-avowed “church boy”, church is not the only place C. Anthony can be heard. After recently completing a residency at Minton’s Playhouse for their Soul Stirring Sunday Nights Series; Bryant was invited to return to Dizzy’s Club Coca-Cola at Jazz at Lincoln Center where he was featured in the role of “Big Chief” for Mardi Gras Celebrations with Alphonso Horne and The Gotham Kings. With film credits that include, The Fighting Temptations (2003), Red Hook Summer (2012), and BET’s feature documentary Holler If You Hear Me: Black and Gay in the Church (2015), Bryant admittedly feels most at home on stage or in studio. This is evident when one hears of Bryant’s extensive work as a background vocalist and arranger, or of his solo performances. This, though (as Bryant will tell you) he won’t turn down the big screen if it is offered. C. Anthony is currently working on his second solo recording project. January 2015 saw the release of his first solo album entitled Hymnody vol. 1. A graduate of Atlanta’s historic and prestigious Morehouse College (Bachelor of Arts, 2005), and the Manhattan School of Music (Master of Music, 2007), Bryant teaches private voice and serves as a coach and mentor to numerous vocalists and musicians. Rev. Cartagena Zayas holds a B.A. from City College New York, a M.Div. from New York Theological Seminary where he received the President Award in Ministry, and is a Micah D. Min. candidate at New York Theological Seminary. At The Park Rev. Cartagena Zayas serves as the Pastoral Presence each week for the Saturday Community Lunch Program, a Greeter, a Translator for Immigration Clinics, is a member of the Hospitality & Fellowship Team and the Prayer Team. In his role as Outreach Pastor he serves on the Jeremiah Leadership Council, NY/NJ Crop Hunger Walk and the Micah Institute. An activist he participates in many actions dealing with Housing Justice, a Living Wage, the elimination of Racism, Poverty & Hunger, LGBTQ, Transgender Justice, Immigration Issues and National Hispanic Hepatitis Awareness Day. He serves on the Northeastern Anti-Racism/Pro-Reconciliation Team, the Northeastern Regional Response Team, and is the co-Moderator for the Northeastern Region for the Christian Church (Disciples of Christ). Along with serving the congregation of The Park, Rev. 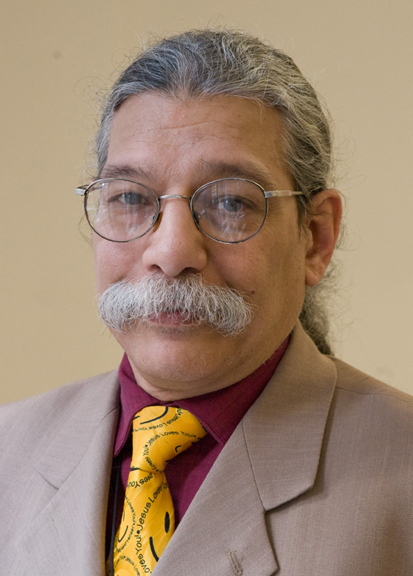 Cartagena Zayas is the Director of the Modern Languages Language Laboratory at the Borough of Manhattan Community College/CUNY for the past thirty years, is a member of the LGBTQ Month Committee as well as the Hispanic Heritage Month Committee. The Rev. Francesca Fortunato, M.S. (American Institute of Holistic Theology) has been doing children’s ministry for over ten years, with past congregations including Holy Apostles Episcopal, The Cathedral of St. John the Divine, and Fourth Universalist. 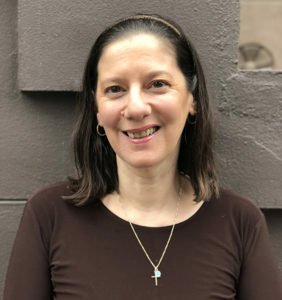 Dually ordained as an Interfaith Minister and as a priest with The Progressive Episcopal Church, Francesca continues to minister on the opposite end of the age spectrum, as a volunteer Chaplain for the St. Nicholas Home, an Assisted Living facility in Brooklyn. She considers herself to be bi-vocational, and also works part time as a dance and fitness teacher; currently teaching four classes per week for Asphalt Green. Francesca lives in Washington Heights, with her wife, Lynn, their “big cat,” Gracie, and recently adopted kittens, Daphne and George. 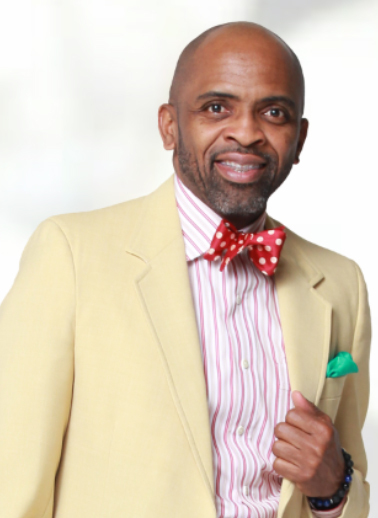 Dr. Tony McNeill is the former Director of Worship and The Arts at Historic Ebenezer Baptist Church (“America’s “Freedom Church”) in Atlanta, GA, where he served for four and a half years. Prior to coming to Atlanta, Dr. McNeill was a Visiting Lecturer in Choral Music at his alma mater, Appalachian State University (Boone, NC). He currently serves as Program Director for the Certificate in Worship Leadership at Johnson C. Smith Theological Seminary (Atlanta, GA) and keeps a demanding schedule as a consultant, workshop presenter, choral clinician, mentor and conference worship leader. He earned a masters degree in choral conducting from The Florida State University (Tallahassee, FL) and the doctorate of worship studies from the Robert E. Webber Institute for Worship Studies (Jacksonville, FL). Dr. McNeill was also profiled in the BET.com documentary, HOLLER IF YOU HEAR ME: GAY AND BLACK IN THE CHURCH. 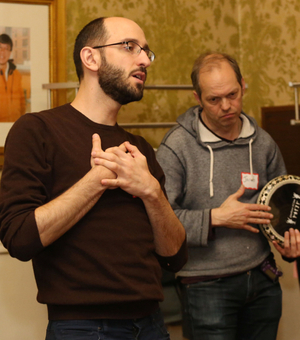 Paul Vasile is a freelance church musician, consultant, and composer based in New York City. A multitalented musician and dynamic worship leader, he is committed to building, renewing, and re-shaping faith communities through music and liturgy. Paul brings over twenty years of ministry experience to his work as a consultant, workshop facilitator, and teacher. He is excited to help congregations broaden their repertoire of sung prayer and praise, and to demonstrate how participatory music and liturgy can energize and unify worshippers from varied backgrounds, cultures, and traditions. His skills and background make him a unique resource to congregations in transition, or those experiencing anxiety or conflict in their worship life. Paul is an inspiring teacher and has been a guest lecturer and worship leader at Union Theological Seminary, General Theological Seminary (NYC), the Yale Institute of Sacred Music, and The Chandler School of Theology. He has also curated notable concert series, arts events, and educational programs exploring the intersection of music and spirituality. Born and raised in Puerto Rico, Jeanette Zaragoza is an ordained minister of the United Church of Christ (UCC). She earned a bachelor’s degree from Lesley College in early childhood education and obtained an M. Div. from Pacific School of Religion, which included studies at the Seminario Bíblico Latinoamericano in San José, Costa Rica, the Seminario Evangélico de Puerto Rico, and the University of Jerusalem. In December 2011, she graduated from the University of Puerto Rico with an M. A. in Translation. Her graduation thesis title was, “From this Side of the Horizon: Feminist Biblical Hermeneutics,” (a translation of “Capítulo 16: Análisis feminista,” in Para que comprendiesen las Escrituras: Introducción a los Métodos Exegéticos, by Ediberto López-Rodríguez-Rodríguez). In 2016, Jeanette completed all requirements for a Masters in Research in Translation and Interpretation Studies from Universitat Jaume I, Castellón de la Plana, in Spain, the title of her thesis “The Search for a Mendi-court Interpreter in The Amistad Case in order to Challenge the Institution of Slavery.” Presently, she is a PhD (ABD) student in said university in same field. Rev. Zaragoza has worked as a professional translator and interpreter for the last 10 years. She is trained as a professional court, medical and conference interpreter, certified by the NJ and NY State Courts, and CMI and CCHI, both medical interpreting certifications. Her ministerial calling involves multilingual-multi rhythmic worship design and implementation centered in the social justice proclaimed in the Scriptures to cross boundaries in order to establish collaboration and for worshippers to recover their full humanity. During calendar year 2017-2018, Rev. Zaragoza will be also be a PhD Visiting Researcher at Yale Divinity School where she will continue to research the intersectionality among translation and interpreting issues, The Amistad Case, Christian Abolitionists, and liberation. Stephanie Wilson is the Office Manager working the behind the scenes for the operational advantages of The Park Avenue Christian Church, also known as The Park to its parishioners. Since her introduction in 2014 as Admin Assistant, she has grown to play an integral part in getting to know the congregation with her charismatic spirit and assisting with the facilitation and execution of the finite details of many of the programs at The Park. With previous experience working within the operational management of different religious organization, Stephanie is one of the many faces you will see on any given Sunday at the church. Whether it be through wireless outreach or personal communication, chances are that Stephanie is your go-to person when it comes to finding the information and resources The Park has to offer or communicating within the complexities of the organization to help further along community goals. Currently a resident of Bronx NY, this millennial is more than happy to lend a helping hand and is often an open ear with an open heart that you can look forward to meeting when you visit The Park. 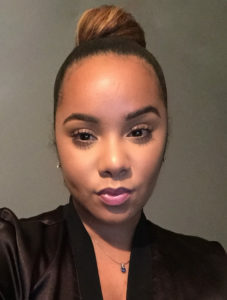 As a certified professional makeup artist working with tv productions such as NBC, CNN and Viacom, Tatiana has grown a love for beauty and communications. She has extensive experience in the hospitality and service industry for over 10 years. Working with some of the countries most influential thought leaders such as Tamika D. Mallory, of the Woman’s March, and Ms. Iyanla Vanzant. Her talent has far exceeded her expectation and for that she is immensely grateful and has now shifted her interest to assisting Pastor Kaji Dousa with all things necessary to assure the wellness of The Park Avenue Christian Church. Tatiana is passionate about her family and diligent at her careers! She is a native New Yorker and a natural born leader. Haji Russell is a recent Year Up New York Alum, having overcome the challenge of making a huge change in eir career path. Since starting a new journey in a totally new environment, ey has had the pleasure of calling The Park the beginning of eir new life. Having come from a background of customer service positions, ey is well equipped to work with every arm of the capital campaign to foster communication and help The Park reach its ultimate goals. With a passion for art and learning, Haji looks forward most to experiencing The Park’s community and sharing that vision of social justice with others. Haji uses ey/em/eir and they/them pronouns. The Park needs your support now more than ever as we offer the voice of progressive Christianity in New York City. Click here to lend your support today.